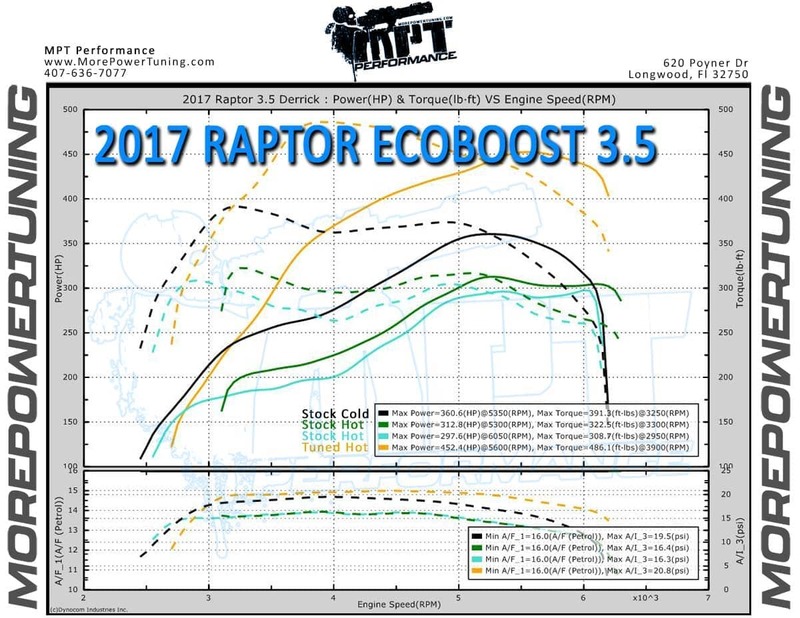 Unlike previous years we haven't yet found a need to re-gap the stock 2017 - 2019 Ecoboost spark plugs. PR-X, also known as Performance Race Xtreme, is our top-performance tune for the 2017 - 2019 Ecoboost Trucks. PR-X comes in two options, 93 octane or 91 octane. This is by far the preferred tune on this truck due to the ridiculous power gains over stock. The truck feels so much lighter with the increased throttle response and part throttle boost. Wide open throttle boost is increased over stock by +/- 15% which equals out to around 3/5 psi, depending on the rpm. 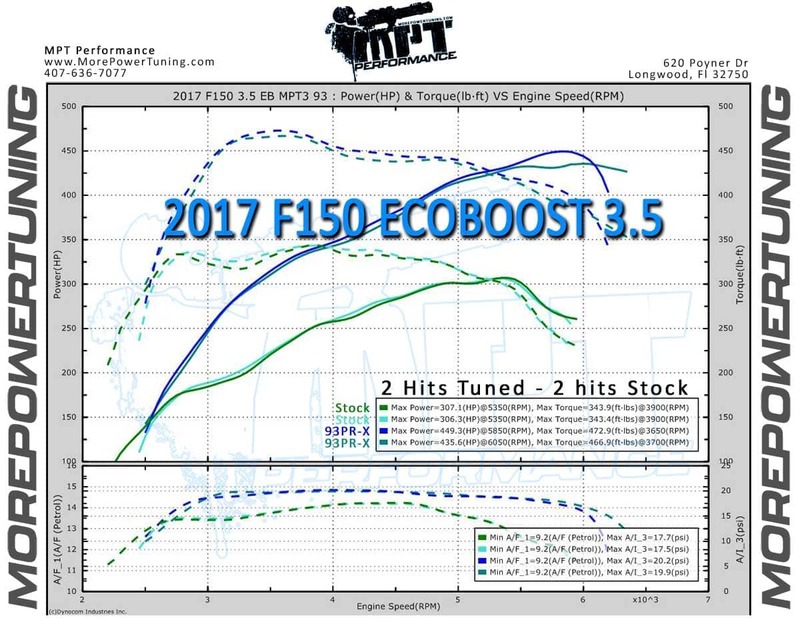 Peak boost is around 20psi +/-. Grill Shutters: If the grill shutters have been removed, we need to know about it. This graph shows 2 stock hits and 2 hits with the MPT 93 PR-X tune loaded. The truck had 93 in the tank for all runs.